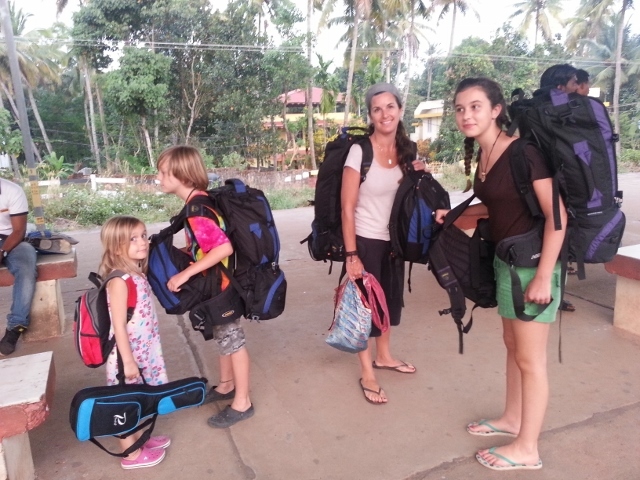 Sarah and her husband from Canada are travelling with their children aged 12, 10 and 5 for a year across Europe and Asia. They used our help to plan parts of their India trip and are guest authors for a series of blogs on travelling in India with children. In our two month trip around India, we spent about two weeks in Goa. It is definitely a place that you could lose yourself in and end up staying much longer than expected. It is a very gentle entry into India and a bit of a respite from some of the tougher elements about travelling in India. There is much less poverty in Goa, there is certainly an abundance of western food and, of course, you can always get a drink of something alcoholic. These things are not the case in many parts of the rest of the country. 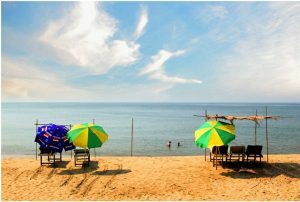 Of course, the beaches make Goa a perfect place for a holiday or a place to chill out and relax or even recharge before you carry on with your India travels. Goa is actually much more than beaches. If you were to go to Goa and spend all your time on the beach you would no doubt have a wonderful time, but you would miss out on so much more that Goa has to offer. 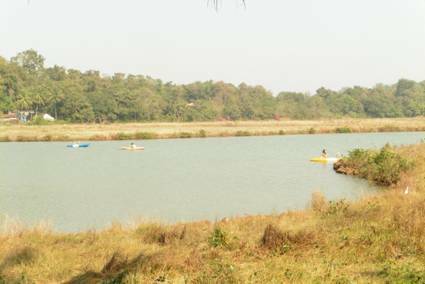 Just like Kerala, Goa has a network of backwaters where you can paddle for ages and see a variety of birdlife and animals. The sounds of nature are magical and there is a lot of the traditional life of the people happening on the river banks. It is peaceful, serene and inspirational. The spice farms are also a must see in my mind. You will see how many things grow that you use in your daily life and certainly some things will baffle you. You might find yourself saying, “funny I never thought about that before!” And becoming more curious about life is a bonus. Learning about how things are made not only makes you more interested and ask more questions, but you will suddenly find that you start asking a lot more questions and learning a lot more about other things too. 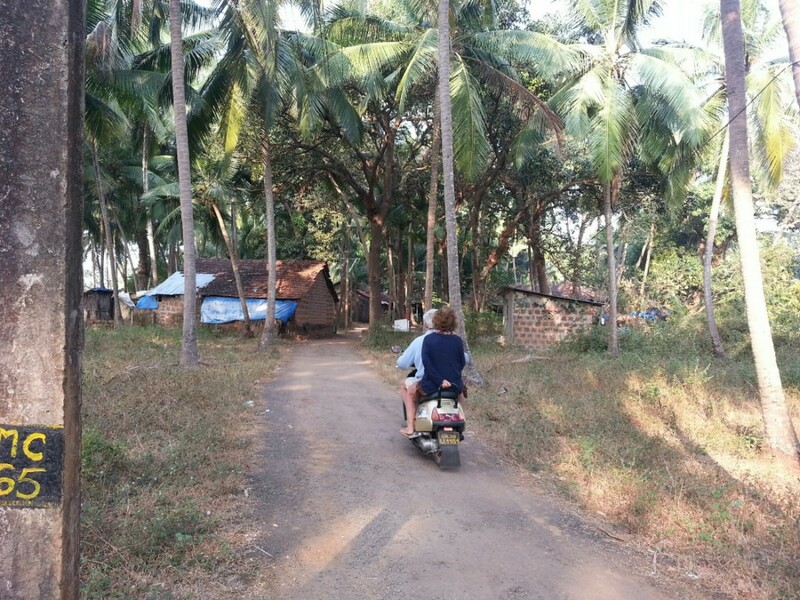 Exploring Goa on a two wheeler! Goa has several large markets. Whether you are looking for a hippy scene, cheap clothes, traditional handicrafts or even fruit or vegetables, you will find it here. Different markets happen on different days so if there is something that you are interested in seeing, be sure to check into which day it is on and the location. As well as lots of charming little villages, Goa’s cities offer beautiful architecture from its Portuguese colonial history. In Panjim, Old Goa or Margao, there are churches and buildings to admire throughout the province. The old houses are also absolutely beautiful. Getting off the beach and into the town will definitely give you a feeling of the bigger picture of this little province and you see the influence of its colonial past all around you. 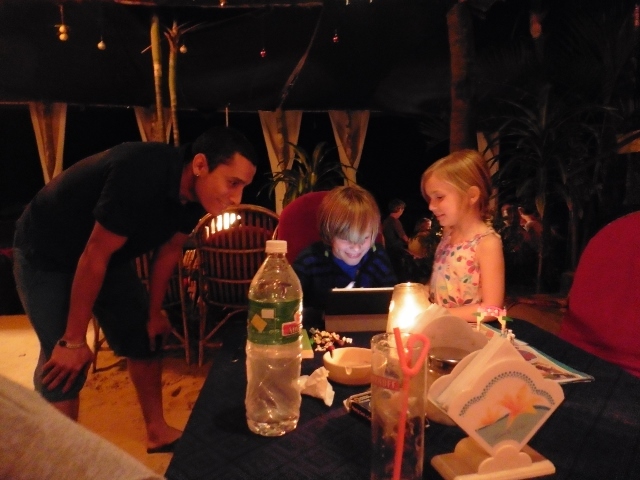 Choosing Dinner in Patnem Goa! And a blog post on Goa would not be complete without some mention of the dogs. Before we arrived, we read lots of tripadvisor posts complaining about all the barking dogs on the Goan beaches. It is true – Goa has loads of stray dogs and it seems like the night time is party time for them. The thing is though that you can’t avoid it, so best thing is to embrace it. We decided to view these lovely creatures like a bunch of teenage boys; sweet on the inside but all trying to assert their position. They were friendly as could be and hovered a bit at dinner time as they were always keen to get a bit of food, but they could easily be shooed away as well. At night, they howled and barked at one another – but it made us laugh. The partying dogs of Goa added to the charm and we made sure that our earplugs were handy! Go, Goa, Gorge - The Fourth Edition of the Goa Food and Culture Festival is here!